You already have the pleasure of teaching yoga, have discovered the goodness of SUP and would like to specialize in leading SUP Yoga classes? If you have answered YES to these questions, this training is for you! Lead by JUNA Yoga founder, Nadia Bonenfant, a registered and Experienced (E-RYT) teacher and continuing education provider with the Yoga Alliance and Hugo Lavictoire, teacher trainer for Paddle Canada and KSF founder. This training is well recognized in the SUP industry in Quebec and Canada. This 4 day training is offered in English and French. 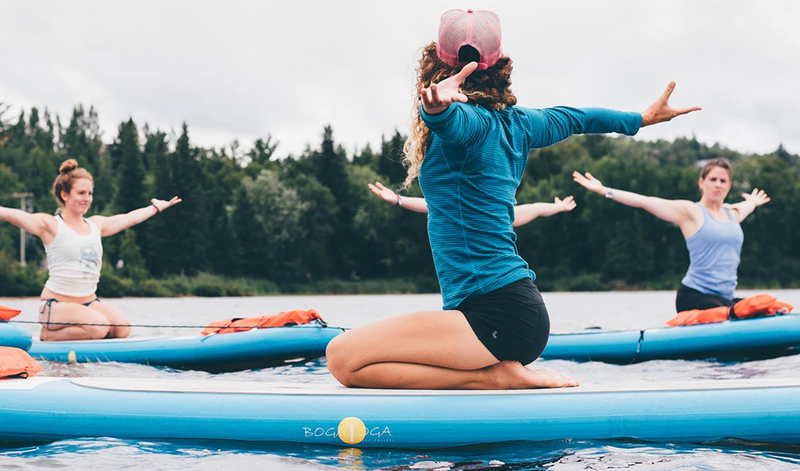 Following this training, you will obtain your flatwater instructor certificate with Paddle Canada as well as 16 Yoga Alliance Continuing Education credits for the dryland portion of the SUP YTT via Nadia’s YACEP courses she offers in the summer. Please note that these are applicable if you are an active member with the Yoga Alliance . Depending on your ability level, a conditional pass may be given to some students with Paddle Canada until specific paddling requirements are demonstrated post exam for the SUP portion. You can also obtain your basic first aid and CPR certificate (16 hours) via our additional module, usually given right after the SUP YTT training. Please note that in order to obtain your Paddle Canada certificate, an active first aid and CPR card is mandatory. Let us know if you have any questions and our team will be pleased to help you set up your classes. Hold a basic Yoga 200 hours teacher training certificate or currently be enrolled in a teacher training program. Students enrolled in this training must have a solid base in SUP. After speaking with our SUP team at KSF before you register, we will determine if it would be necessary for you to take an advanced SUP class / workshop before you start your official training. Our team offers these classes regularly and we will be happy to explain all details to make this an easy step for you before your SUP Yoga Teacher Training starts. We are here to help you get on the water rapidly and discover the joys of teaching SUP Yoga next summer. This is the 7th year that we are running this collaborative training and hope you can join us! PRICE 700$ plus taxes + 90$ for Paddle’s Canada annual fees. Hugo is a leader in SUP and white water paddling in Quebec and has been teaching in the industry since 1990. As such, he has been training future Paddle Canada instructors for 9 years with KSF, widely recognized as a the leading SUP school in Quebec. KSF has received numerous awards and is certified Security and Ecotourism with Aventure Écotourisme Québec. With more than 10 years of experience in teaching yoga, Nadia is also registered as an experienced yoga teacher with the Yoga Alliance (E-RYT) as well as a continuing education provider. 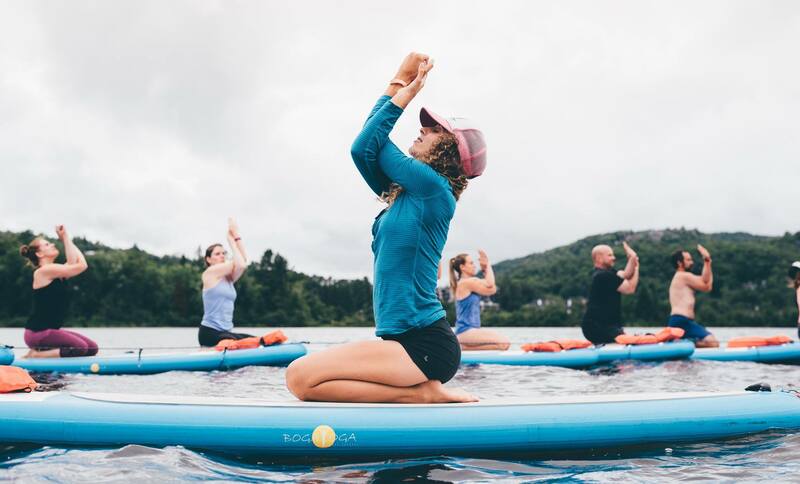 She is also certified as a Flatwater SUP instructor and has taught SUP Yoga classes on several occasions over the last six years at the Wanderlust Festival in Mont Tremblant, Whistler and Hawaii. “Fun and professionalism are surely the two words that come to mind to summarize this fantastic training from KSF! 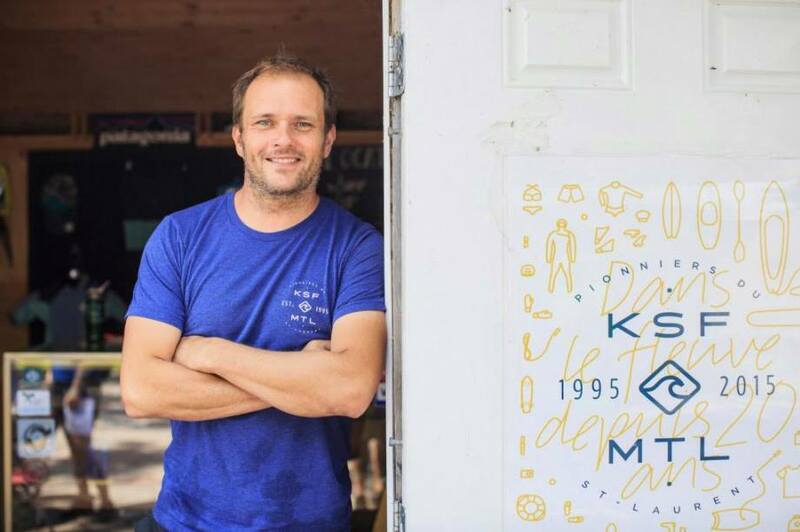 Partnering with Juna Yoga (Yoga SUP component) and Paddle Canada (certified accreditation from a Canadian Agency), KSF is an excellent school choice for those seeking to acquire the skills required by the SUP industry.